Sydnea's baptism was incredible!! She had tons of support from her family, friends, and the ward. She was smiling the entire time. Her Grandpa flew out from Iowa to baptize her and that was so important for her. 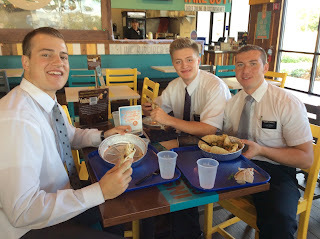 He served a mission just a few years ago so we had a good time talking with him. Sydnea bore a powerful testimony at her baptism of how thankful she was for the changes she felt and for all the people God brought into her life. Her family was zoned in on her and the spirit was definitely touching their hearts. It was awesome to see! Then our ward mission leader called me up randomly and had me bear my testimony to everyone because it is my last week in the ward. So I did and I am so thankful he let me do that. Overall it was a great baptism and we were all uplifted by the feelings we had there. We spent a ton of time out in this mission with the other Elders. It was awesome being able to go and learn from so many of them. I spent some good time in a couple of the Spanish areas so that was awesome to be able to go out and teach in Spanish again. It's been a little while but I still was able to communicate and understand pretty well. Definitely not anywhere near where I was before but not too bad. We got our new companion Elder Carroll this week! 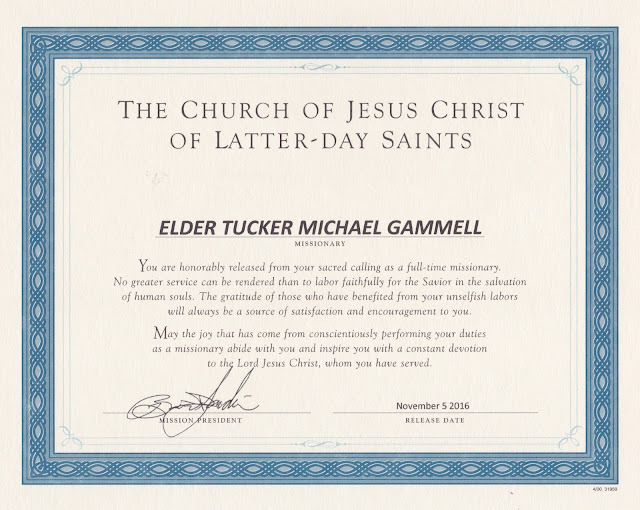 He is an awesome Elder! He's from the Hawaiian islands and it's been fun having him with us this week. I wish I could stay and serve with him and Elder Schenk next transfer. We have worked so hard and seen some awesome things happening in our area as well as in the mission. It's pretty crazy that just as soon as you start getting the hang of things and you start to feel comfortable, that's when change is coming right around the corner. This past week has been such a great opportunity just to use what I've learned over these past two years and just work. I really don't have too much I need to write about this week but I do want to express my gratitude to everyone who has supported me over these past two years. Your prayers have been felt not only by me but also by those that I have been able to teach. Thanks for the emails of support and encouragement. Care packages were always a treat as well. :) it's been such an amazing experience being able to serve the people here in Sacramento. 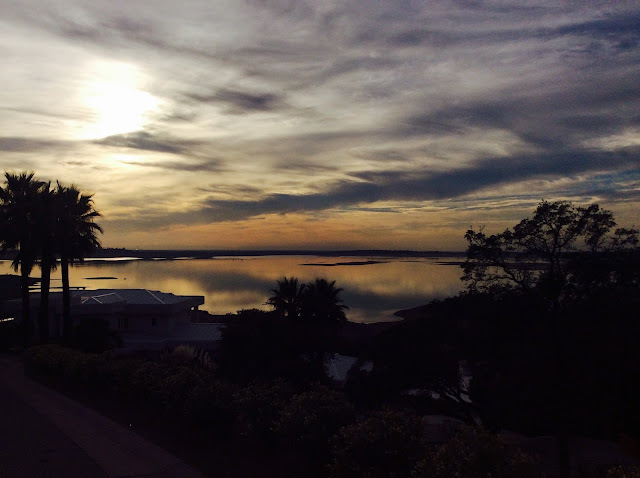 This place will always have a special place in my heart. I know that God had my best interest in mind when he assigned me to come here. There have been so many people who have influenced my life for the better and experiences that have solidified and strengthened my testimony. It will break my heart to say goodbye but I know there are amazing things in store as I return home. I'm so excited to use the things I learned out here in my life as I move forward. I can say with all my heart that God lives. He knows us. I've seen his hand working for me and through me over and over. I know Jesus Christ is our Savior. It's only through His Atonement that we can see progress and happiness in our lives. 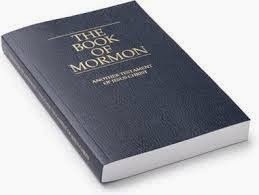 The Book of Mormon is true. It's blessed my life and brought me understanding. Joseph smith saw our Heavenly Father and Jesus Christ in a grove of trees in 1820. He was just a man that was called to do a great work. I love this church and the Gospel. It Was An Incredible Week! It was an incredible week! So many testimony building experiences. We did a few exchanges this week with Sacramento, Elk Grove and Folsom. 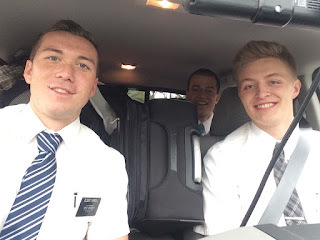 On my exchange with Elder Dukes we were working in our area. The night before we were planning out the exchange and I felt prompted to go to a part of our ward that we really have never touched. It's kind of in the rich, gated community side of the ward so we never really see much success over there. But, I felt like we needed to try working on this street called Chiquita Way. We planned it in for the next night and Elder Dukes and I went to try it out the next day. We hopped out of the car and walked like 50 yards and this couple started getting out of a car in their garage. We hurried up to them and introduce ourselves. Their names were Jim and Cheryl. We ended up talking to them for about 30 minutes and made a strong connection with them. They have a church they go to downtown and have been there for a long time. She is the pianist and they are pretty active in it. We brought the Book of Mormon into the picture and started to explain the story of Lehi and his family fleeing from Jerusalem and it made sense to them. They brought up the scattering of the house of Israel and it just made sense to them that the people in the Book of Mormon are part of that scattering. We gave them a copy and they were really excited to read from it. They agreed to have us back over and said they would read and pray about it. We are stopping by to see them tonight or tomorrow evening. It's pretty cool that God led us right to them and we were there right when we needed to be there. One minute earlier or later and we probably would have missed them. I love how it feels to follow a prompting and see the direct results from it. It doesn't always happen that way but when it does it's just a huge testimony to me that God puts us right where we need to be, right when we need to be there. And all we have to do is ask and listen. Sydnea is ready for her baptism this Saturday!!! She passed her interview and is good to go. We also found out that she will have some family there that aren't members so we are super pumped for that! It will be an awesome day for her and everyone who comes. I'm excited to see what this upcoming week has in store. I have to make the most of these days because there really aren't that many left. We Did Three Exchanges This Past Week! It was a great week! We did three exchanges this past week in Carmichael, Rancho Cordova, and North Sacramento. It was cool to get out and spend some solid time proselyting this week. On my exchange with Elder Escoton, he came to our area from North Sac, we taught our new investigator named Margene. Margene is probably in her late 70's. Our bishop called us the other night and gave us her name and address and told us to go by. 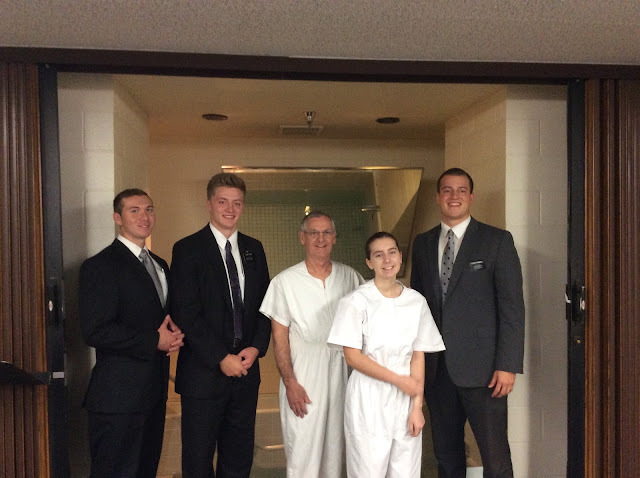 She had met with missionaries before in another ward in the stake and was very close to being baptized. But because of her health she couldn't go to church and ended up having to move away to her grandsons house. 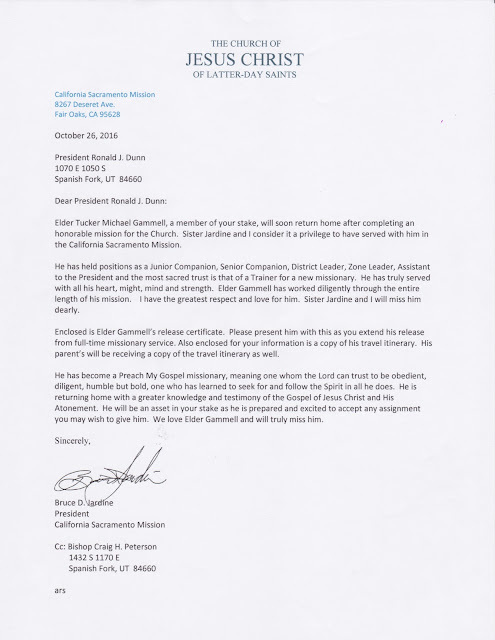 Her daughter in law contacted our bishop and said that it would be a good time for missionaries to start going back to see her. So on Saturday morning we went by and visited with her for a little while. She really loves to talk! Haha it's a good thing we have had quite a bit of practice listening during our missions ;) After she told us about all the struggles and challenges she had gone through over the past few years of her life we started talking about God's plan for her and kind of the purpose behind the trials we all face. We shared some scriptures and discussed them with her and it was cool to see the bitterness she was holding within her heart all started to fade away and was replaced with a peace and comfort. She was very thankful for us coming over and told us that we better keep coming by haha. Her health still isn't very good but we know there can be a miracle provided and hopefully it ends with her being baptized. We live with the administrative Elders and they tend to get drawn into the office quite a bit so we did a little team up in their area to try to find some new people for them to work with. I went with Elder Page and we went to work a little in the Fair Oaks 4th Ward. We tried to see a few potentials but didn't have any luck. Right at the end of the exchange we stopped to see another potential and ended up contacting a young girl sitting in her front yard. Her dog came running up to us so we had it follow us back towards her. We introduced ourselves and found out her name was Samantha. We talked with her for a little bit and somehow ended up talking about the power to seal families. It caught her attention and she really liked the idea of the YSA ward. 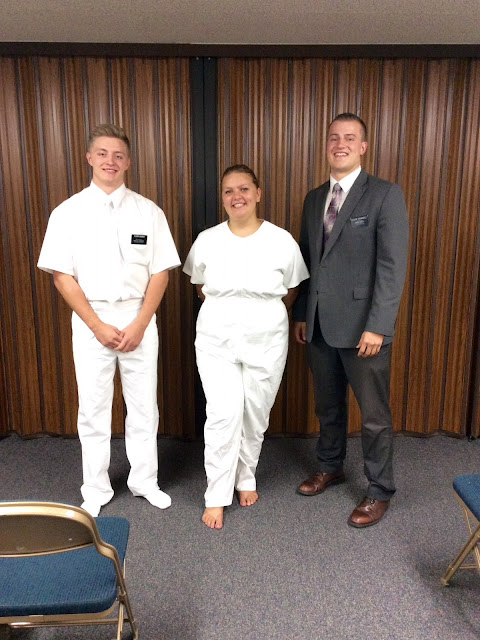 We gave the sister missionaries her info and they went by to see her a couple days later. Turns out she came to church on Sunday and loved it. Now she is getting baptized in two weeks!! So crazy how fast that happened and that just goes to show that you never know just who is prepared to receive the gospel now. We are excited for her. Sydnea is doing awesome! She is still set to be baptized on the 29th so we will be meeting quite a bit this week to get her ready for her baptismal interview this weekend and then next weekend will be the big day. It will be such a cool day for her and her family. We are hoping to get them out to the temple this week as a family to take a tour so that'll be sweet. I Was A Great Week! It was a great week! We had another MLC and it went really well! We decided to mix it up a little bit and we did a really cool activity. When we meet together as missionaries, whether that be a district or zone meeting, we usually have some sort of role play where we practice teaching or applying some principle of missionary work. So we did a role play in MLC where we had everyone in the room gather in the middle and we split into two lines. The objective of the role play was to praise or compliment each other. So one side started by giving the compliments and after 30 seconds they would rotate one person down and start over. So eventually everyone was able to complement 13 people and receive compliments from 13 as well. It was such a cool activity and the spirit was so strong there. It was cool to see how everyone was able to see strengths within themselves that maybe they didn't know were there. We were able to grow so much closer to each other and it just felt good to look for the good in everyone. That spirit carried us the rest of the way through the council so it was great. Then each of the companionships there were able to take it to their zones across the mission and do about the same thing. 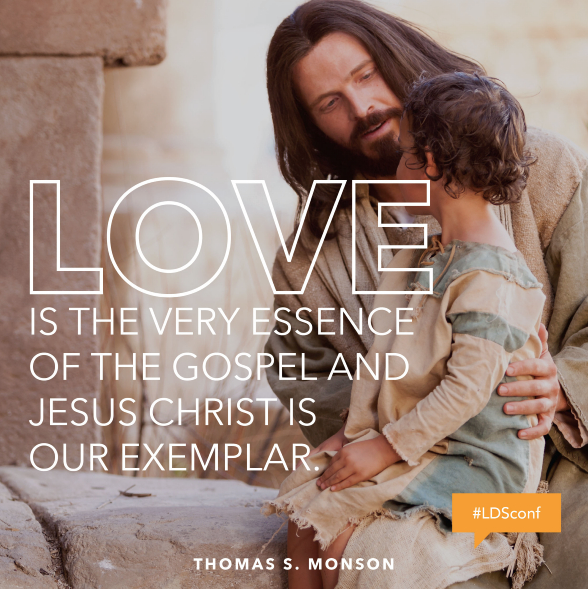 We have had great feedback from it and a huge increase of love within the mission so it had a great effect on the missionaries. It's pretty cool to see the fire that builds in ourselves when we strive to look for the good in others instead of the bad. We can always find a negative in anything if we look for it. The cool thing is we can also see the positive in all things all well. If we just make a slight mindshift all of a sudden there's a huge change within ourselves and we get to experience the joy of loving others. That was another point we touched on quite a bit. If we truly love and serve God and the people around us, it takes care of everything else. All the worries and struggles might still be there but we have a broader perspective that allows us to press forward with joy. We had some pretty cool things happen as we were out working this week. 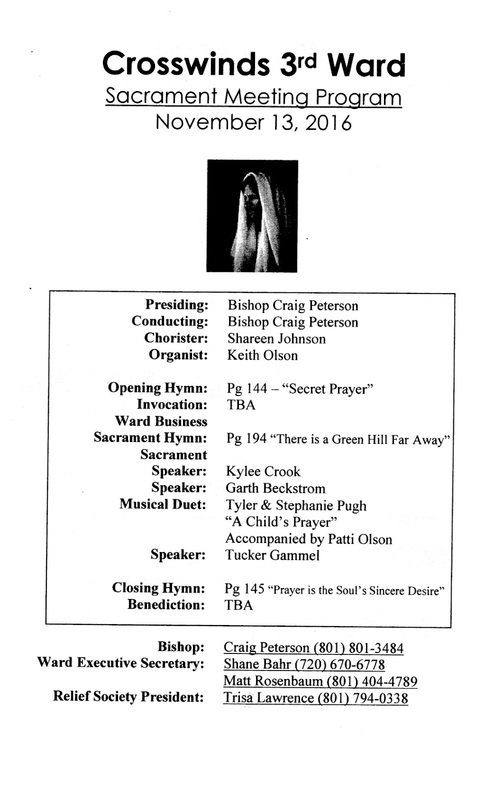 I went on a team up with Elder Worthen over in East Sac. Right before we were about to head back to the car to head home for the night we started talking with this guy. He drove past us a little earlier and gave us a look that definitely meant he didn't want to talk haha. But as we walked to the back of the apartment complex we ended up running into him and his little family as they were heading in. We started talking with him and he surprised us as he actually seemed happy to see us. He opened up and he told us of all the changes he had made in his life over the past year. He was in prison and had a huge change of heart that made him decide he wanted to change his life around. He now has his wife and two little kids in a little apartment and he is working to provide for them. We testified of the power of Christ's atonement to him and the spirit was there very strong. It was pretty late and his wife was calling him in to help put the kids to bed so we weren't able to talk for long but he wanted us to come back and share a message with his family. So we set up a time and the Mission Oak Elders are excited to go back. We have several exchanges this week so i am excited for those! Sydnea is doing great as well. She is working hard to prepare for her baptism so we are trying to meet as much as possible over the next couple weeks. Time is cruising by as always. It's all good though. General Conference was awesome! 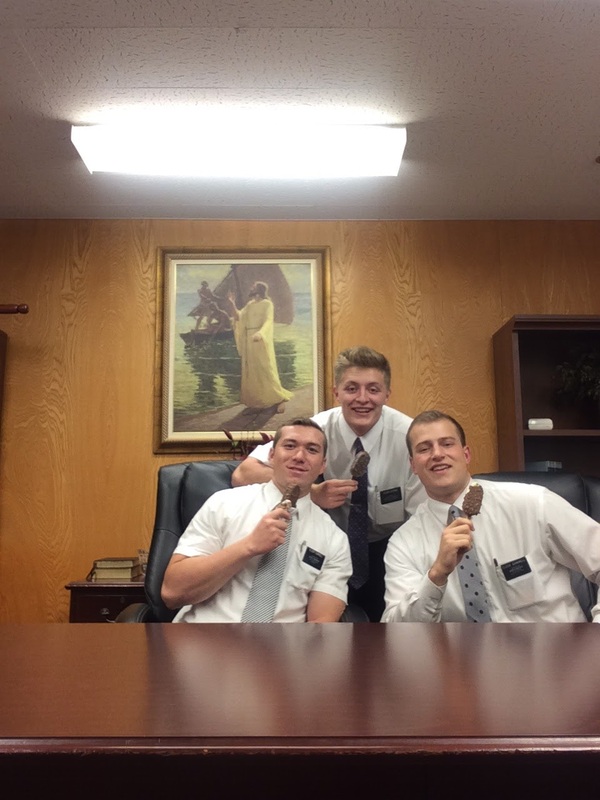 Spent a lot of time in our the stake center but they hours really did fly by. There was something in just about every single talk that really stuck out to me and I was able to get a lot out of them. I think my favorite one was Elder Holland's talk in the priesthood Session. He did a great job teaching us the principle of being a disciple of Christ through home teaching. It was definitely a call to repentance for a lot of people but it will be a good thing. If we can get past just filling the requirement and truly serve one another with love, everything changes and we are able to experience joy with those that God has entrusted us with. Made me excited to be a home teacher when I get home. I had some really good breakthroughs during conference of how I am going to continue my mission after it's over. Still a lot of work and learning to do. 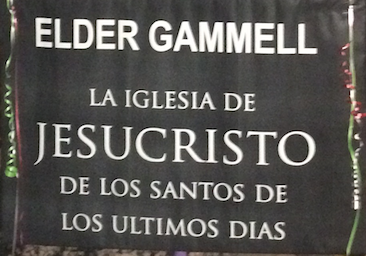 We had several meetings this week with all the new missionaries. We have some team ups planned this upcoming week where we will be able to go out with them and do some work in their areas. Probably one of my favorite things to do is go out with the new missionaries. So cool to see the progress in each of them in such little time here. I always learn so much from going out with them so I excited for this week. Love you all! Thanks for all the prayers. Hope you all have a great week! Aimee Was Baptized This Week!! Amiee was baptized this week!! It couldn't have went any better. She was really excited for it and we made sure to keep close contact all week with her to make sure she was ready. It's always scary the last week before a baptism because it seems like something always gets put in their way to try to stop them from making it. Amiee was able to stay on track and Saturday was a great day for her. She even stood up and bore her testimony to everyone. There was great support from the ward and the few young women we do have. They are definitely excited to add one more to their numbers. Sydnea also was able to come with her mom to watch Amiee get baptized. That made her even more excited for her baptism which should be coming up soon. Hopefully the week after conference but if not it will be at the end of October. So we are excited for that! Amiee also stood up in sacrament meeting and bore her testimony again after her confirmation. It's been cool to see her learn and grow. The cool thing is that there is more to come. We finished up transfers this week so that was good. It ended up all coming together nicely and everyone got into their new areas with transportation and housing so that's all that matters haha. 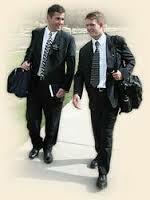 We also were able to send the departing missionaries out and pick up the new ones again. I love going to pick up the new missionaries! It's so cool to be able to see them right when they come down the escalator and take their first steps into Sacramento. They have no idea how lucky they are to be where they are at and they have some amazing things ahead of them. I definitely didn't know what was ahead of me when I first got here but it's cool to look back and remember all that has happened. I'm super excited for this upcoming transfer. There are a lot of good things going on in the mission. It will be busy as usual but I feel like there will be some incredible miracles that will happen over these next 6 weeks. There's a lot of work left to do here. This week was insane! Haha we did 4 exchanges in a row and it was awesome! I don't think I have even gotten close to as tired as I was on Saturday night when Elder Schenk and I finally met back up. We saw some great things and had a lot of cool experiences. 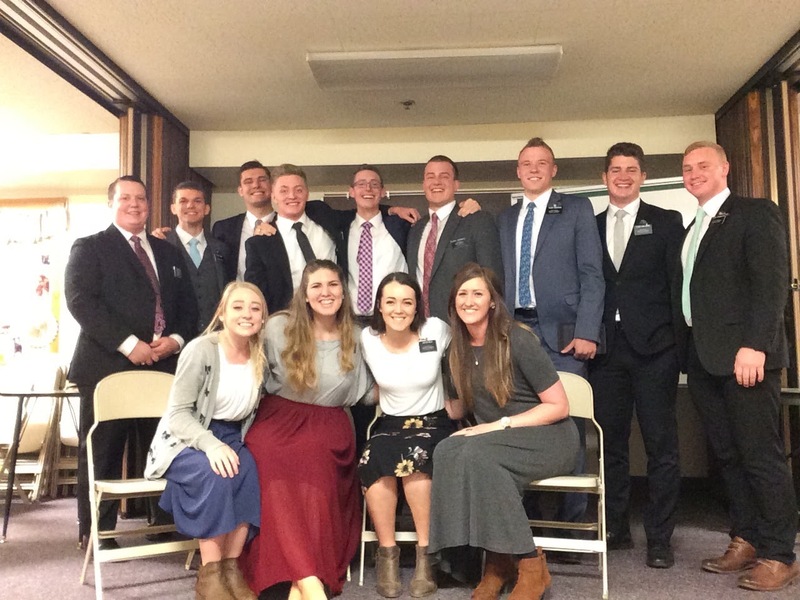 I think one of my favorite parts of going on exchanges with the other elders is the opportunity to get to know them a little bit more. Whenever I leave an exchange I always feel a ton closer to that person and it's cool to be able to hold each other accountable to goals we set throughout our time together. Elder Kristensen and I had a great opportunity to help a member of our ward that was going through a really tough time. He texted us and asked if we could meet him ASAP. We met at the church and eight as we sat down he started to break down and told us about how his life had just made a huge change of direction for the worst. He went from having a wife, car, and house but over the last 6 years he has lost it all. He told us how he felt like he didn't have faith in anything anymore and it scared him. We sat and listened and then we were able to help him by turning into the Book of Mormon. We read some scriptures with him and were able to help him see that he really hadn't lost his faith in God. He had lost faith in the people that used to be in his life and those that were currently around him. He wasn't willing to humble himself enough to ask for help from others so we talked a lot about that with him. We set some goals with him to make the changes he needed to move forward and we all were able to leave the church feeling so much better then it all started. He thanked us and he had a big smile. It was so cool to see just how much the spirit really does make the difference in lessons. Sometimes we have no idea what others need but our Heavenly Father does and as we listen to the promptings that come to us we are able to say exactly what God would have them know. And that's when the change happens. It was cool to see it happen with this brother. While I was on exchanges with Elder Bingham in Rancho Cordova, we were able to teach a girl that I Contacted like 5 months ago when I was serving in the YSA Ward in Elk Grove. Her name was Rebecca and she remembered me. We passed her off to some other missionaries and we never heard what happened. Turns out she was able to meet with them once or twice but she had a ton of stuff going on in her life. She moved up to Rancho and the elders passed her off again. We sat down with her and talked about the restoration and it all clicked with her. We invited her to be baptized in October and she said yes! We were super pumped for her and hopefully she can stay on track. Amiee is getting baptized this Saturday!!! We are stoked for her! She has been working really hard and is trying her best to be ready. All of the young women in the ward are excited to have another one added to the group. She has already been a part of them for a little while now but she will be official here pretty soon. Sydnea will be getting baptized here in couple weeks as well. She is so prepared so we talked with her about possibly moving her date forward a couple weeks. She is praying about it so we will see what her answer is this week. We love meeting with her family. They are awesome. We have been able to teach a couple of Skype lessons to them so that has been really cool. It can't replace actually being there but it's nice when schedules aren't lining up to get a quick 20 minute lesson in. It's going to busy week again. Crazy we are already doing transfers again. It seems like it happens like every other week! So that's about what this week will consist of. Hope you all have a good week!